JE Pistons has been the industry leader in the design, development and manufacturing of forged racing pistons for 60 years. The benefit of that experience, along with the technology and data gathered over the course of those years, has enabled JE to create a product line to compliment our world-class piston designs; JE Pro Seal Pistons Rings. 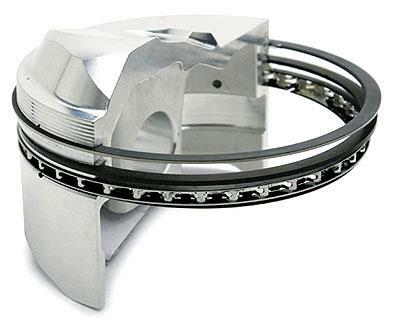 Top teams in NASCAR, ALMS, NHRA, and AMA demand JE Pro Seal Rings for their engines. ProSeal Piston Rings are Sold as MATCHED SETS, the 6th Digit of the Part # Indicates the Number of Rings Included in the Set (i.e. JXC0F4-2953-2 is a set of 4 Rings). Please Order Accordingly.